Roberto De Vicenzo, R. I. P.
The great Argentinian golfer Roberto De Vicenzo, who died this week, at the age of ninety-four, is probably best known for his second-place finish in the 1968 Masters, an outcome that has long been viewed as one of the most heartbreaking in tournament golf. It has also been one of the most grotesquely misunderstood. De Vicenzo that year signed a scorecard for his final round which added up to one stroke more than he had actually shot. (The original error had been made by Tommy Aaron, who kept de Vicenzo’s card and marked him for a four on the seventeenth hole rather than the three he had in fact made. De Vicenzo didn’t notice the mistake at the time or when checking his card before signing it immediately following his round.) The rules of golf dictated unequivocally that the higher score had to stand. 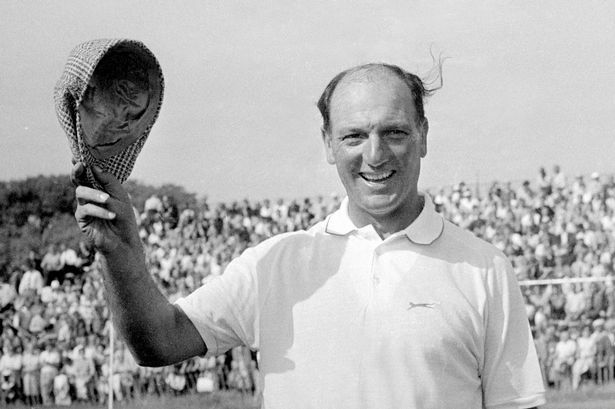 That kept De Vicenzo out of a tie for first place with Bob Goalby, who became the winner. “What a stupid I am,” De Vicenzo said. The Masters film that year showed Goalby finding and correcting an error on his own scorecard—a scene that made De Vicenzo’s moment of inattention seem all the more poignant. To be kept out of a Masters playoff by a clerical error concerning a score that no one disputed has always seemed so regrettable that, half a century later, sportswriters and others still brood about the ruling. A columnist in Golf World suggested in 1997 that Augusta National should have ignored the rules and thereby created a tie, or that Goalby should have refused his green jacket and insisted on a playoff, whether official or not. Others have disparaged the club for not writing a rule of its own. Charles Sifford even suggested that De Vicenzo’s second-place finish might have been the result of prejudice, against a non-American player, by Clifford Roberts, the club’s co-founder and chairman. It is true that television cameras had shown De Vicenzo birdying the seventeenth hole. But De Vicenzo, like every other player in the tournament, was accountable for the accuracy of his own card because only he was in a position to be certain of his true score. He felt stupid about his oversight, but he agreed with the ruling—as did the Argentina Golf Association, which wrote to Roberts to say that it not only supported Grainger’s decision but had made the same ruling itself with other players in tournaments of its own. The accusation that Roberts was out to get De Vicenzo is even more absurd. The two men were close friends, and, in fact, during Masters week, De Vicenzo and his wife often stayed in the home of Wilda Gwin, who was one of Roberts’s secretaries at the club. De Vicenzo’s birthday fell on Masters Sunday in 1968, and the tournament staff, with Roberts’s assistance, had planned a surprise party for him. Kathryn Murphy, Roberts’s tournament secretary, told me that she had sadly thrown away the birthday cake when it became clear that holding the party was now out of the question. Roberts always held a dinner for the tournament winner at the end of each Masters, and that night he broke convention by inviting De Vicenzo to attend as well. He worried that the outcome had harmed both men—by depriving De Vicenzo of a shot at the financial bonanza that followed a Masters win and by overshadowing the spectacular charge that Goalby had made in his own final round. Like all Masters winners, Goalby received a silver cigarette case on which had been engraved the signatures of all the players in the field. Roberts quietly had an identical box made for De Vicenzo as a private acknowledgment of his ordeal. Roberts also asked J. Richard Ryan, the attorney who handled the club’s television and movie contracts, to offer his services to both men as an agent—an occupation that had just begun to have an impact among the better players on tour. He especially hoped that Ryan could help De Vicenzo make up for opportunities he had foregone. All these gestures—none of which were public—were entirely characteristic of Roberts. The somber face he wore on television as he explained the scorecard ruling belied the personal devastation he felt for both men. The tragedy, in his view, was that two exceptional performances had been overshadowed by a single careless mistake. He never doubted the correctness of the ruling, and he never regretted that it had been made. But he quietly worked behind the scenes to make things right for both men. This entry was posted in Masters, Tour Players, Tournaments and tagged Clifford Roberts, de Vicenzo, Isaac Grainger, Masters by David Owen. Bookmark the permalink.